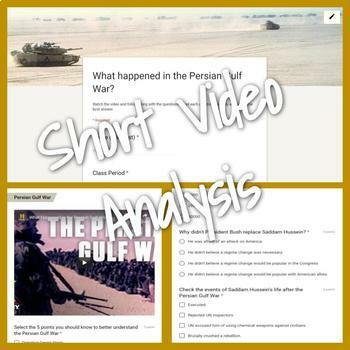 Short Video Analysis: What happened in the Persian Gulf War? 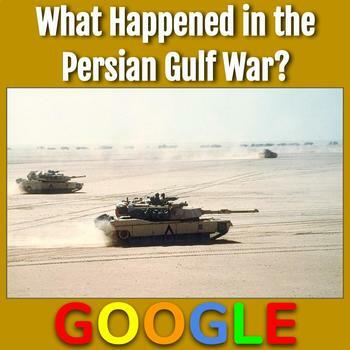 This product is a Google form with a short video on the Persian Gulf War. The video (4 min:14 sec) is inserted into the Form. The students will follow along with the video and answer the 4 questions on the form. This is an enrichment activity or excellent homework assignment. They can do this from their phones.